The warmer weather and calmer winds of Spring are a perfect time to vacation in the world-renowned islands of the Bahamas which offer some of the most unique cruising destinations anywhere. Because the islands are protected by one of the largest barrier reefs in the world, boating between islands can be safe and pleasurable, but also offer spectacular opportunities for snorkeling, diving, and a variety of other water sports. 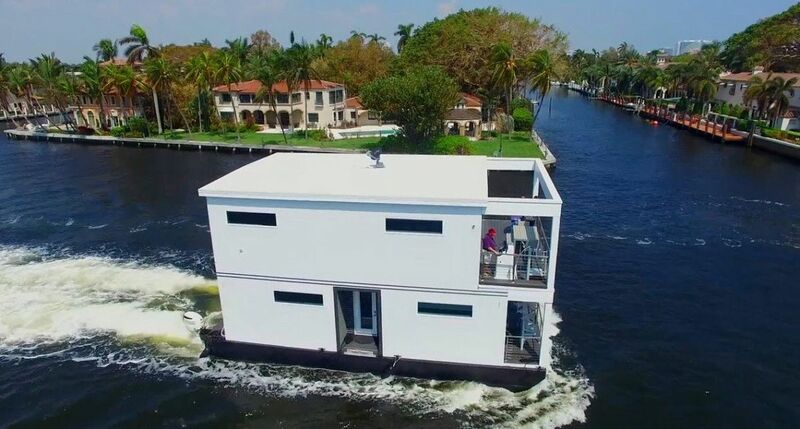 Whether you are looking to relax in the sun, take up a round of golf at several major courses, or eat lobster on the beach, chartering a yacht with its own captain and crew is a unique way to experience everything the Caribbean has to offer in the privacy of your own luxury “floating resort”. With many destination and yacht options to choose from, consulting with United Yacht Sales Yacht Charter Director Nicole Haboush can make the process much easier. With years of experience and countless happy clients, Nicole has the expertise of what yachts and crews are the best fit for your travel expectations. Finding the right yacht with the best captain can make all the difference in your luxury vacation. So why chance it? Let the experts at United listen to what you want to experience and match you with the right vessel. Of all the island chains in the Bahamas, the Abacos are perhaps some of the most beautiful and charter-friendly. With over 650 square miles of cays and reefs to explore, the Abacos are a island-hoppers dream vacation. Deep water not far from the island along with the shallow flats that are teaming with life make this a fisherman’s destination that may want to troll for mahi mahi in the morning and stalk bonefish with one of the many island guides in the afternoon. Sightseeing at the colonial villages or at the famous Elbow Cay Lighthouse are a must for first time visitors, but seasoned charter clients may just want to relax in the turquoise water of Tilloo Cay with their own jet-ski and paddle-boards. Aqualife is a Horizon 94’ luxury motor yacht that was built new in 2016 and has one of the most experienced captains and crews in the Bahamas. Guests are treated to a surreal experience with the finest foods, wines, and beverages available all while exploring the sights of the gorgeous surroundings. The 20’ beam of Aqualife provides for a spacious interior salon for lounging after a long day swimming as well as expansive guest cabins, including a stunning full-beam master suite with en suite bath. All of the appointments on board are of the highest quality including granite counter tops, high gloss interior finish, twin generators, and all of the features you would expect on a world class luxury motor yacht, specifically designed to enhance your vacation experience. 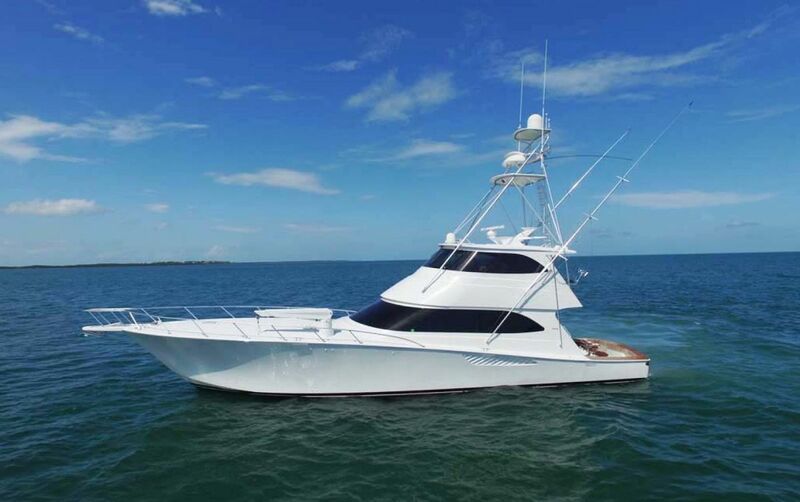 On board you will find a 2017 31’ Regulator fishing boat and an experienced captain who has guided many happy clients to amazing days fishing for sailfish, dolphin, grouper, and snapper, as well as to amazing diving and snorkeling spots. Spend your vacation taking out one of two Yamaha wave-runners or enjoy the tranquility of the paddle-boards. Combined with the expertise of Nicole Haboush to coordinate and manage your trip, a yacht charter aboard Aqualife will be unforgettable. While the captain and crew of Aqualife will cater to the client’s desires of what island destination or in-water fun they want to have that day, an itinerary planned for you can take the stress out of where to go and what to do for newcomers to the Bahamas. Here are some suggestions of what a week long vacation could look like aboard the luxurious Aqualife. -While at Nippers, crew will move boat to anchorage at Green Turtle. -7:00pm Dinner on board Aqua Life. -8:15am Depart Aqua Life for Dive check in with Brendal’s Dive Center. We make sure everyone has dive certification cards. -9:30-2:30 -2 tank dive, Crew will send you with lunches and snacks, water provided by Brendal’s as well as cooler space for choice of beverages from Aqua Life. -4:15pm Head to Pig Beach to feed the pigs (great for photos) and then swoop around the island to swim with the sting rays and turtles! -Enjoy the toys and sunshine at anchor (paddle boards, Lilly pad, jet skis, wakeboard etc) or go to Man-o-War to shop the town’s famous hand bags at the Sail Shop, bags are made from recycled boat sails, canvas and other fabrics for durable fun and unique souvenirs . -Mother ship will move off to Barrier Island near Pete’s Pub. -Option to fish or go Tubbing and Wake boarding depending on your preference. -Picnic Lunch on Tahiti Beach followed by happy hour at Cracker P’s. -7:00am Departure for Harbor View Marina. Are you ready to book your luxury yacht charter vacation in the Bahamas on Aqua Life? Contact Nicole Haboush today to get started at (561) 558-3113 or at Nicole@UnitedYacht.com. Stay up-to-date with everything happening in the Yacht Charter industry by following us on facebook! Chartering a yacht is a big decision for you and your guests which is why United’s experienced charter team can make the difference in a successful vacation. 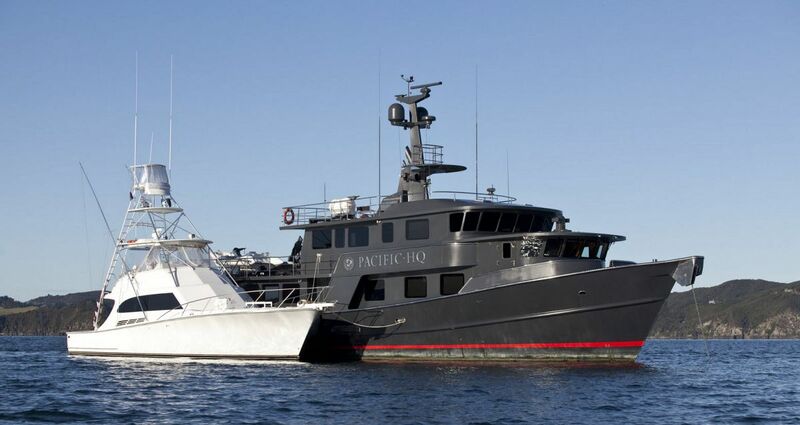 Nicole Haboush has been in the yachting industry since graduating from business school in Boston and has countless hours working with captains, crews, and owners of yachts that are available for charter. Nicole has an extensive fleet of nearly 30 in-house charter yachts and is well-known in the industry as an expert in charter management. Let Nicole manage your next yacht charter vacation no matter where the destination or boating requirements. With access to hundreds of boats worldwide, the United Yacht Charter team will listen to your needs and cater to your expectations.